There are so many difficult things in life that happen that cannot be changed. We have a lot of losses to grieve. What helps during these difficult times is taking the time to soothe, calm, and comfort ourselves in ways that help, not harm. Sometimes we choose ways to soothe ourselves when distressed that make things worse like overusing food, alcohol, or drugs to soothe our fears; withdrawal from others; obsessive habits; perfectionism; being overly busy; and overuse of the internet. We fall into these practices out of habit and often don’t know how else to cope. The good news is we can learn new ways to soothe ourselves when grieving and distressed that help us, make us stronger and draw us closer to God. “When distressed, our brain and body go into overdrive trying to cope with whatever is going on. This causes our system to overload physiologically, so we all need ways to transition from distress to calm. The ability to self-soothe as well as to employ emotional regulation techniques are the skills that help with this transition. When practiced, our emotions, thoughts, body responses (heart rate, blood pressure, sweat), and behavior calm down to a manageable level. We are then able to respond in a comforting, nurturing, and gentle way to ourselves, especially in moments of distress or agitation. The ability to self-soothe is a central part of a mature emotional life. 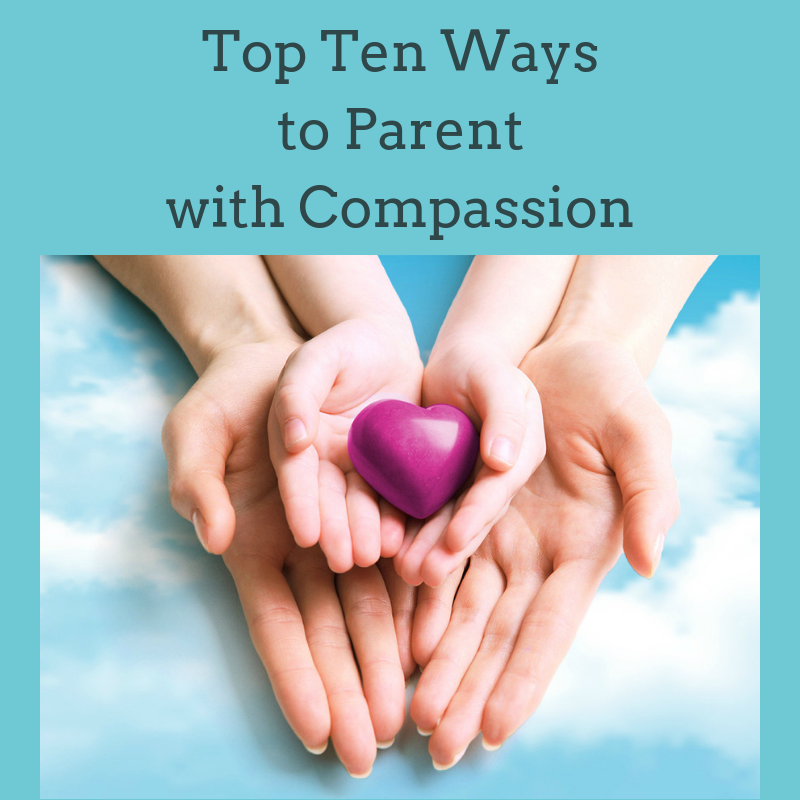 Besides learning to soothe ourselves, we need to teach our kids and grandkids to do the same. My recent book, Give Your Kids a Break: Parenting with Compassion for You and Your Children shares lots of ways to teach children healthy ways to soothe themselves when distressed. • and better health, because emotional pain is not being stored in our bodies. There are many ways to soothe ourselves when distressed. One way I’d like to highlight is nurturing ourselves by soaking in God’s promises. He has given us many promises in the Bible to negotiate the ups and downs of life. Focusing on His promises really helps calm me and keep me focused on God’s help, rather than the problems I face. I just started a new hobby making some short videos about Bible verses that are meaningful to me. You can find a page with all the ones I’ve made here. Here’s one to encourage you right now. Jesus tells us that those who are courageous enough to grieve will be blessed and comforted. God draws near to us as we grieve. He is drawn to our vulnerability and suffering. He is here to comfort our broken hearts, soothe our fears, and give us hope. He is merciful to us during this grief process. He will bring us what we need to get through the grief, to get us to a better place emotionally. It is good to know that the Lord is close to the brokenhearted! He does not expect cheerfulness. God is compassionate and responsive. God is close—not far away. God never promised to remove all our fears troubles, problems, and sorrows. He has promised, in the midst of trouble and conflict, a genuine peace that passes understanding, and a sense of security in Him, that grounds us and comforts us. * What are some things I’ve done in the past that bring me comfort? * What type of soothing words do I need to hear from myself right now? * Are there Scriptures or music that would be comforting to me? * Would it help to journal, pray, cry, or take a run? * Would it help to call a friend? If so, who is someone who would listen and be caring to me rather than giving me advice or responding to me in a matter-of-fact way? * What are some tools I can use to soothe myself, calm myself, and bring comfort? What ways have you discovered that soothe you when distressed? Did you like the videos? If so, how did they affect you? What helps you get through challenging times? Which Bible verses soothe you and give you strength? Loved the Scripture videos…I wish it would just keep replaying a few times to let it really soak it….awesome work Kim ! Loved it, and so needed for me today! Thank you for putting these together:) Would love to see all these and more all strung together in a 20 or 30 minute video!! Thank you for this beautiful and helpful blog on addressing our distress/stress. Lately I seem to be quoting my favorite scripture, Phil. 4: 6-7, several times daily. I also listen to K-Love regularly, and always in my travels with the stress of local driving conditions with people that are texting or maybe just distracted. Love to both of you as my prayers continue…. Thank you for practical solutions to stress etc. I liked the reminder that Jesus doesn’t promised an easy life, but he will be there in troubled times. I needed that today. Blessings to you. “There are so many difficult things in life that happen that cannot be changed…” YES, THERE ARE!! Thank you for writing in your book and posts about the ways we can help ourselves during such times. Your teaching and words like, “It’s not too late. You can still learn…” have encouraged me so much! They inspired me to discover new ways to calm myself during times of deep distress, sorrow and disappointment. I learned that doing crafts helps me relax. (I even started a Craft Night at my house.) I rediscovered writing. I create music playlists with songs that encourage me. I read scripture and share favorite verses with friends by text. I listen to online sermons and your recordings. These activities have helped me feel less overwhelmed and more hopeful. Thank you Kim. Dear Roberta, I’m so glad my writing has helped you grow in the ways you care for yourself. I’m so glad you shared the ways you reduce stress and sooth yourself…such great ideas! So glad you shared.